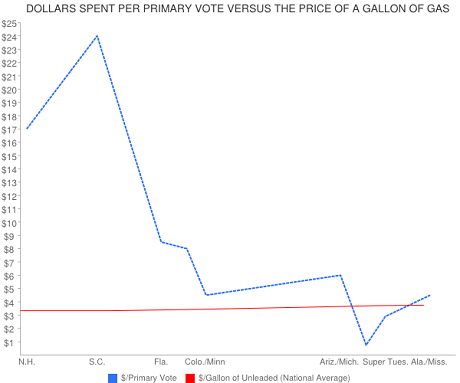 How much gasoline is a GOP primary voter worth? The rising price of gas has become a pressing political concern, with Republicans hammering President Obama for not finding some way to bring prices down. Newt Gingrich has promised to bring the cost of gas down to $2.50, using space technology borrowed from native Martians at our Lunar Trading Post, and he has forced his followers to carry large totems featuring "gas pump" icons. 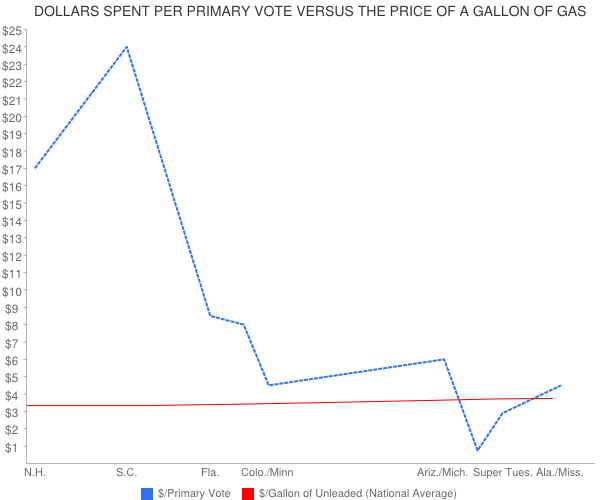 But as gas prices have soared since the beginning of the year, the cost of a Republican primary vote has plummeted. A few months ago, campaigns were spending a fortune in ad buys and organizations in the small early states. In Iowa, Mitt Romney and the PACs affiliated with his campaign spent around $144 for each vote received. By Florida that number was down to $19. 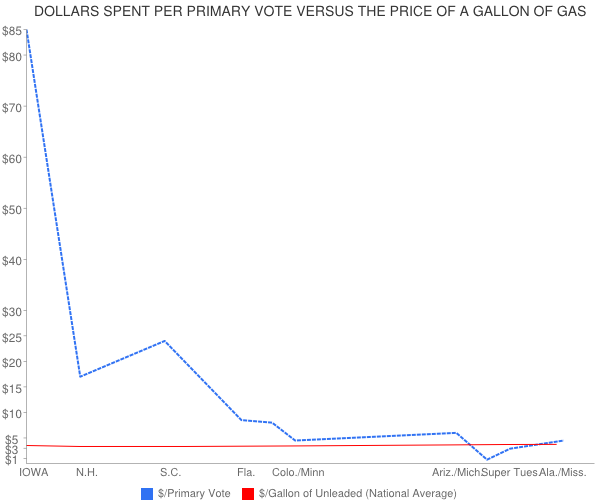 On Super Tuesday, only $2.89 was spent by each campaign for each vote cast nationwide. 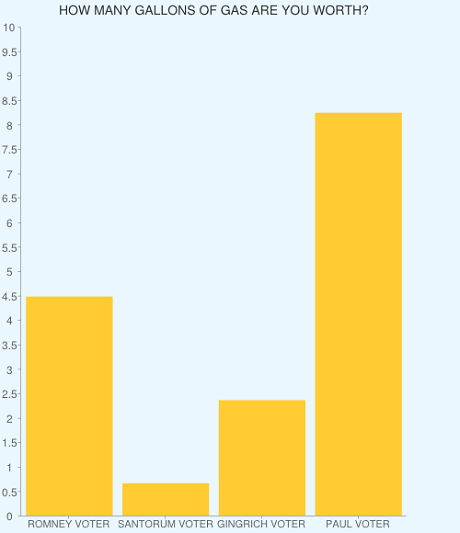 As you can see, the price of gas has actually barely budged and everyone should calm down. 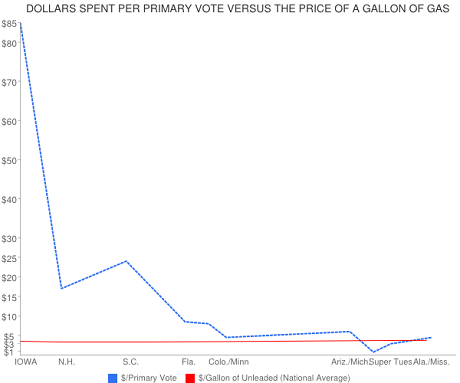 Now, with millions of dollars spent and votes cast, your typical Republican voter is probably asking himself, "How many gallons of gas am I worth, based on what the campaign spent convincing me to vote for them? We're here to help, typical Republican voter! 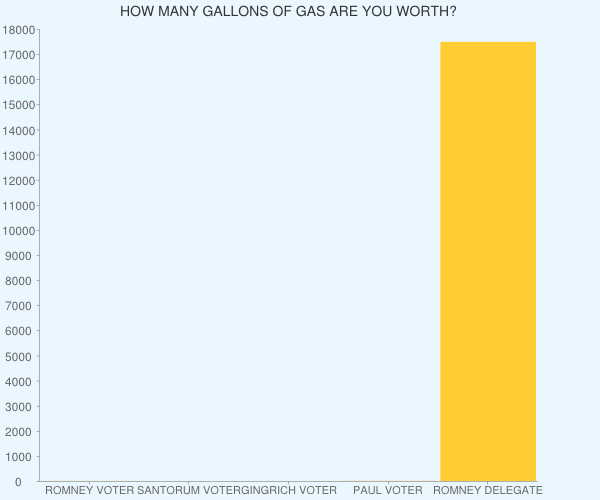 A Mitt Romney delegate is worth 1,700 gallons of gas. That is enough to fill 1,000 Cadillacs! Data from a variety of sources, including the U.S. Department of Energy, AAA, the Associated Press, the Washington Post, and the New York Times.